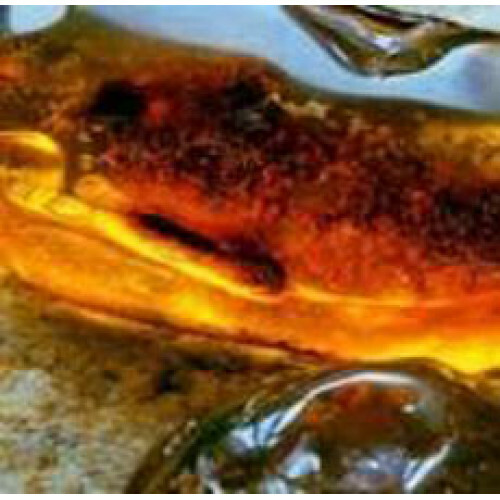 Description: Amber is a fossilized tree resin that is renowned for its color and natural beauty. It is a sticky but soft tree resin and is commonly used in the manufacturing of jewelry and ornamental objects. Common Uses: Amber Absolute Oil is helpful in relieving stress, anxiety, and depression. In fact many aroma therapists use Amber Absolute Oil to provide relief to their patients for these issues. In addition, Amber Absolute Oil has aphrodisiac properties. It may be helpful in treating male impotence, erectile dysfunction, and lack of sexual desire (libido). Finally, Amber Absolute Oil is an amazing base for aromatics such as perfumes, scented candles, incense sticks, room fresheners and soaps. Blends well with: Jojoba oil, Patchouli, and natural Vitamin E oil. Aromatic Scent: Resinous, coniferous odour.